With its catchy lyrics and upbeat tempo, the empowering new single has received high praises from country music critics. "The ladies will love this tune, as it’s an anthem to the feisty women of the world." 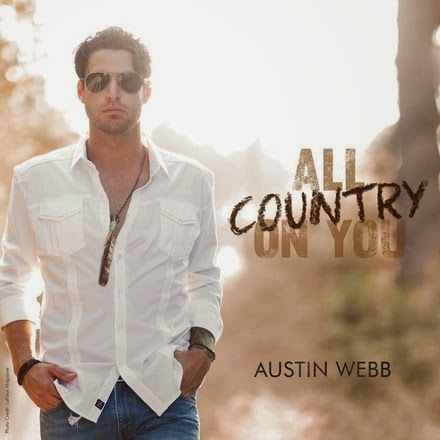 "'All Country on You' is Austin Webb's best single to date." "Austin Webb has put out very solid music with every single thus far, however with this catchy new release he makes an even bolder statement that demands that radio gives him a shot…"
"A really fun tribute to all the strong and feisty women out there." "The whole song’s set up to be one clever line after another, a how-to that’s upbeat without being vapid or caustic." “'All Country On You' is a fun, sing-a-long anthem that will find country fans cheering for more." Austin Webb is currently on a nationwide radio tour in support of the new single.